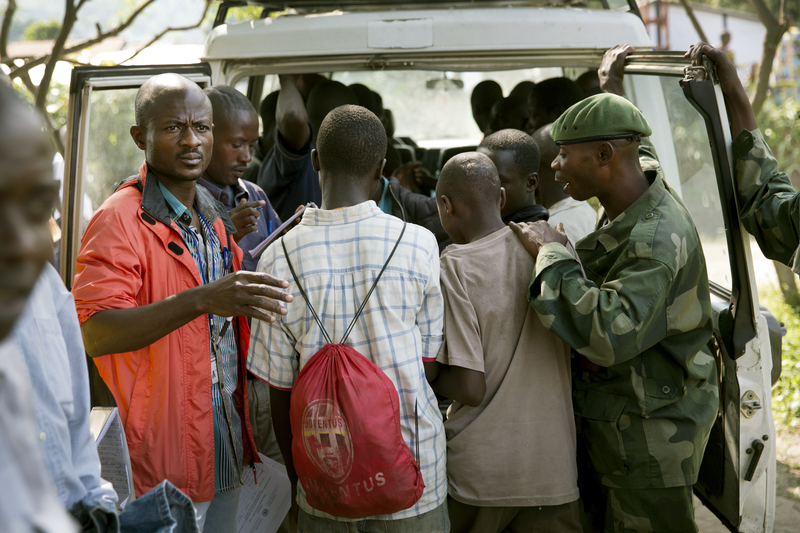 The following is a guest blog from ICRtoP member Child Soldiers International. Child Soldiers International works to end the military recruitment of children and their use in hostilities, as well as other human rights abuses resulting from their association with armed forces or groups. They promote the release of children, seek their successful return to civilian life, and call for accountability for those who recruit and use them. More than 50 parties to armed conflict are listed by the UN Secretary-General for recruiting and using children in armed conflict in a variety of capacities. And this list is not exhaustive. The recruitment and use of children by armed forces and armed groups is not only a disturbingly widespread practice: when perpetrated against children under 15 years of age it is a war crime. Ensuring accountability for such war crimes, along with crimes against humanity and genocide is an essential part of upholding the Responsibility to Protect (RtoP), as well as establishing a basis for sustainable peace and reconciliation. The International Criminal Court (ICC), which came into force in 2002, is the first permanent international judicial body mandated to investigate the commission of atrocity crimes and try alleged perpetrators when judicial mechanisms prove insufficient at the national level. Read on for excellent insight from Child Soldiers International on the importance of accountability and rehabilitation in ending the use and recruitment of child soldiers. At Child Soldiers International, we believe that accountability for child recruitment is a crucial component of any strategy aimed at eradicating the use of child soldiers. States have a duty to investigate alleged violations committed by all parties to an armed conflict and prosecute those alleged to be responsible with a view to providing remedies to victims, and preventing the repetition of genocide, war crimes, and crimes against humanity. However, too many perpetrators continue to evade accountability: such impunity not only denies victims justice and reparations, but it also produces an environment conducive to the continuing perpetration of these crimes. Accountability is an essential component of prevention, and prevention is the most important aspect of the Responsibility to Protect. Yet, time and again, accountability is dismissed as an obstacle to peace and stability. ‘Pragmatic’ considerations are often invoked – including by child protection agencies – to justify amnesties or de facto immunity for authors of child recruitment in order to secure the release of children from the ranks of armed forces and armed groups, for example. However, we believe that peace is neither achievable, nor sustainable without accountability. This has been repeatedly demonstrated in the context of the Democratic Republic of Congo (DRC), where impunity and integration into the armed forces of suspected perpetrators have simply fuelled further instability and consequent child recruitment. While amnesties may be pursued for the sake of peace, stability or demobilisation efforts, it is well established (and it is a long standing UN policy) that they cannot be extended to individuals suspected of crimes under international law considered under RtoP – including war crimes like the use and recruitment of children in hostilities, as well as crimes against humanity and genocide. When national authorities fail to take action, the International Criminal Court (ICC) offers potential recourse.In December 2014 we welcomed the conviction of former Congolese militia leader Thomas Lubanga Dyilo before the ICC. Mr Lubanga was found guilty of the crimes of conscripting and enlisting children under the age of 15 into his militia, the Patriotic Force for the Liberation of Congo (FPLC), and using them to participate actively in hostilities. In its first judgment, the ICC signalled that these crimes warranted international attention and would not go unpunished. Thomas Lubanga on trial at the ICC. 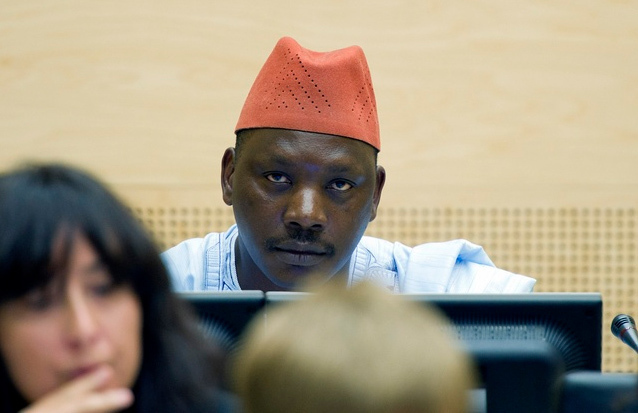 Lubanga was ultimately found guilty of the war crime of the use and recruitment of child soldiers. Reuters. We have observed the deterrent effect of this conviction: in the DRC, where Mr Lubanga’s militia was operating, our partners negotiating the release of children from armed groups report that some commanders who have become aware of Mr Lubanga’s conviction are now fearful of the threat of criminal prosecution and have begun releasing children more systematically. Similarly, in April 2012 we hailed the conviction of former Liberian President, Charles Ghankay Taylor, before the Special Court for Sierra Leone as a clear message from the international community that those who “aid and abet” armed groups that recruit and use children can and will be brought to justice. Mr Taylor was found guilty of a range of crimes under international law, including recruiting children under the age of 15 and using them to participate actively in hostilities. In 2007, the Court had already convicted Alex Tamba Brima, Ibrahim Bazzy Kamara and Santigie Borbor Kanu for war crimes, crimes against humanity and other serious violations of international humanitarian law, including the recruitment and use of children. There is huge potential for the ICC to send similar strong messages that these war crimes will no longer be tolerated. It is encouraging to see that it is currently dealing with several other cases of alleged crimes relating to child soldiers, including that of former militia leader Bosco Ntaganda, also from the DRC. Another ICC case that relates to the issue of child soldiers is that of Dominic Ongwen. 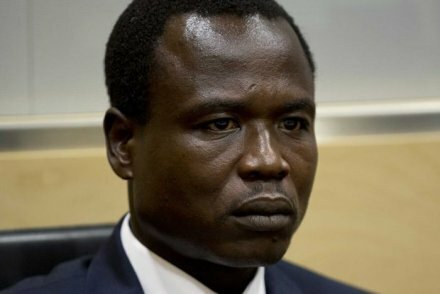 A former commander in the Lord’s Resistance Army (LRA), Ongwen was abducted as a child in his native Uganda, spent two decades in the LRA and was brought before the ICC last month. He is the only former child soldier appearing before the Court so far. The charges he faces do not relate to any role he had in the recruitment or use of children; they cover numerous attacks on civilians in 2004 and 2005. However, some are asking whether, as a former child soldier, Mr Ongwen should receive more leniency than other war crime suspects. Dominic Ongwen’s precise age is unclear. Some reports say that he was abducted while walking to school as a 10-year-old. He himself reported being abducted at 14. In any event, no one is denying that Mr Ongwen, as a child, was the victim of a crime which tore him apart from his family environment and shaped the rest of his life. Victor Ongwen makes his first appearance at the ICC accused of war crimes and crimes against humanity. AFP. 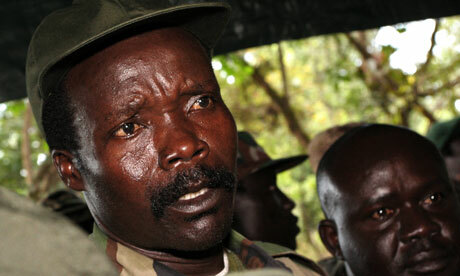 It is alleged that he subsequently rose through the ranks of the LRA and became a senior commander involved in the commission of crimes against humanity and war crimes. 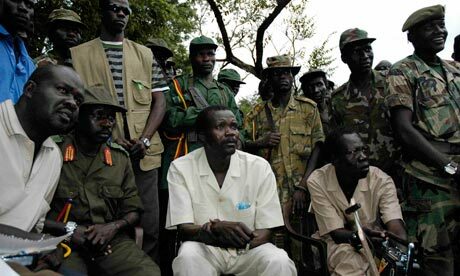 In 2005 the ICC had issued an arrest warrant for Vincent Otti, Joseph Kony, Dominic Ongwen and two other senior LRA members. In January, some 10 years later, one of those arrest warrants was realised when Mr Ongwen was transferred to the ICC. His being a former child soldier raises the question about how such defendants can be justly treated in either national or international courts. This has caused some debate, particularly in Uganda where some community leaders and lawyers argue that former child soldiers are not wholly responsible for their actions. The offences Mr Ongwen is charged with were committed during his adulthood. Using his own stated age, the offences under consideration allegedly took place when he was approximately 29 years old. Indeed the ICC has no jurisdiction to prosecute crimes committed by someone who was under the age of 18 at the time (Rome Statute, Article 26). Mr Ongwen’s past experience as a child soldier may be relevant for his legal defence; however, without prejudice to other factual and legal issues, his being a victim of a similar crime is not a defence in itself. His status as a former child soldier may be more relevant at the sentencing stage, should he be found guilty. Once the Court establishes the correct sentence to impose on an offender, it must then consider whether it should be reduced to take into account the offender’s personal mitigating circumstances. 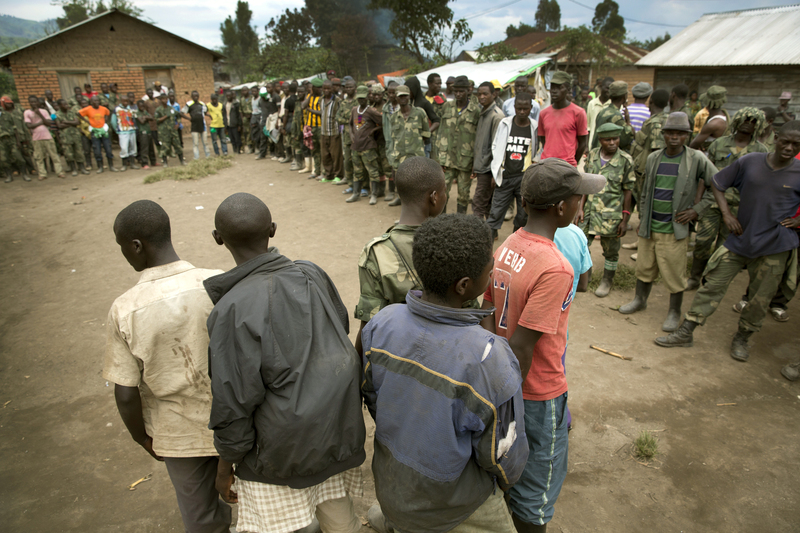 Demobilized child soldiers in the DRC. UN Photo/Sylvain Liechti. It cannot be underestimated how significant these might be in Mr Ongwen’s case. Being abducted as a 10-year-old and experiencing the peripatetic and terrifying life of the LRA’s campaigns cannot but have had a lasting effect on any child. Many children associated with armed forces and armed groups will have endured severe beatings and sexual violence, and will have witnessed killings. Some will have victimised others. Extremely traumatic experiences within these groups are associated with marked emotional distress, behavioural difficulties and traumatic stress symptoms. Children’s ways of coping will be affected by whether they were able to demobilise, and by their post-conflict experiences. Those likely to fare better in the longer term are those who on return to their communities can receive family, peer and community understanding, support, acceptance and forgiveness. However, Mr Ongwen never went back: he grew into adulthood without being exposed to non-violent familial and community socialisation and developmental experiences. Understanding and empathy towards victims of armed conflict must also be extended to those who emerge from such war-ravaged childhoods to commit crimes, even on a scale such as this. We believe that Mr Ongwen should not avoid justice because of his childhood experiences. However, it would be a potential injustice not to take into account his traumatic experiences when determining an appropriate sentence, should he be found guilty. Several lessons for RtoP can be gleaned from the cases above. First, accountability is the primary responsibility of national authorities, but failing this, can be achieved with the assistance of the international community, or through an ICC investigation. Accountability for crimes under international law such as the recruitment and use of child soldiers is essential for ending the cycle of violence and impunity that can lead to the re-commission of such crimes, as evidenced by the deterrent effect seen in the DRC. In addition, as demonstrated by the Ongwen case, the RtoP extends to other post-conflict initiatives aimed at preventing future outbreaks of violence that can lead to the commission of atrocities. When dealing with child soldiers, it is critical for States to implement demobilization programmes that also include proper support that will aid the return to psychological well-being in emotionally distressed child soldiers. This, and associated work with their families and communities to facilitate their acceptance and forgiveness on return, is more likely to ensure peace in the longer term.